Books are the ultimate long form content marketing. They’re educational information audiences actively seek. No one knows this better than the Content Marketing World authors! Professionals often write books to establish their authority and influence. My husband discovered this when he wrote the first book on HTML. A book is the unforgettable business card. They’re too big to get lost in someone’s wallet or pocketbook. Joe Pulizzi, Epic Content Marketing, and Content, Inc. If you haven’t signed up for Content Marketing World, do it Now! Use code: Heidi100. 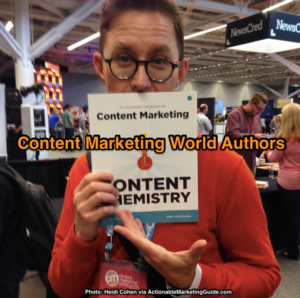 Here’s the list of Content Marketing World authors who we haven’t interviewed. Names in bold are speaking at this year’s conference. If you haven’t signed up for Content Marketing World, do it NOW! Use code Heidi100. Unlike many business books, they’re not just focused on dusty strategies taught in universities and business schools. These Content Marketing World authors work in the marketing and sales trenches to drive bottom line results. BTW- If you get them before you go to Content Marketing World, I’m sure the authors will be thrilled to sign your copy! P.S. All book links are Amazon affiliate links. If you haven’t signed up for Content Marketing World, do it now! Use code: Heidi100. P.P.S. 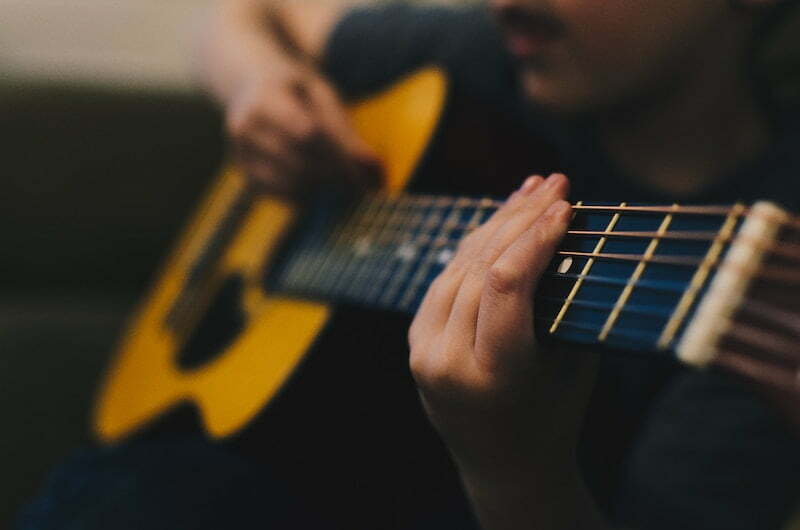 This post was originally published in August, 2106. It has been updated with new information for Content Marketing World 2017. 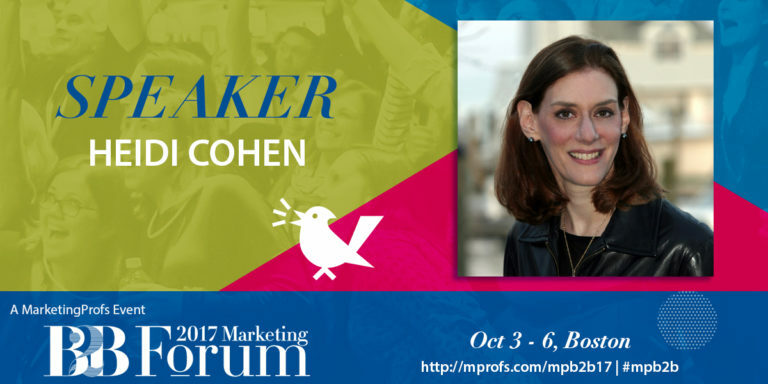 MarketingProfs B2B forum is one of my favorite conferences of the year. Join me in Boston, October 3-6, 2017, for an exciting program and fun events. Register now using my promo code: AMPLIFY1717 to save $100.